It's not hard to set up some personal and work calendars on your Mac and iPhone. But there's a whole lot more you can do with calendar subscriptions. A holiday calendar is an obvious choice, but did you know you can also add the schedule of your favorite sports team(s)? 1. Built-in Calendars. 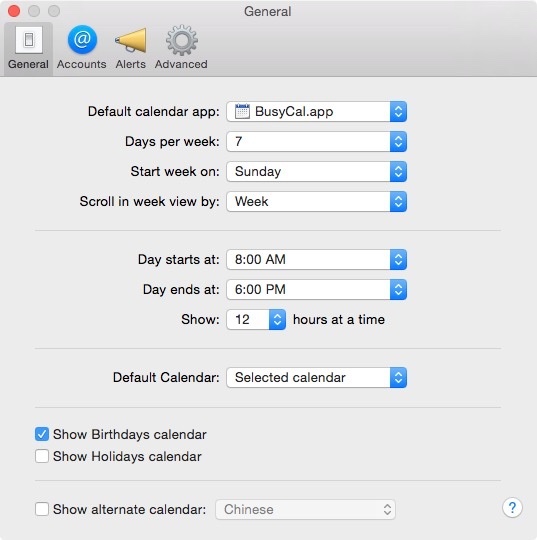 Apple's OS X Calendar app (formerly iCal) has two built-in calendar subscriptions: Holidays and Birthdays. These are found in Calendar > Preferences > General. If you deselect the checkbox for one of these calendar subscription, it will no longer appear in the sidebar of the Calendar app. 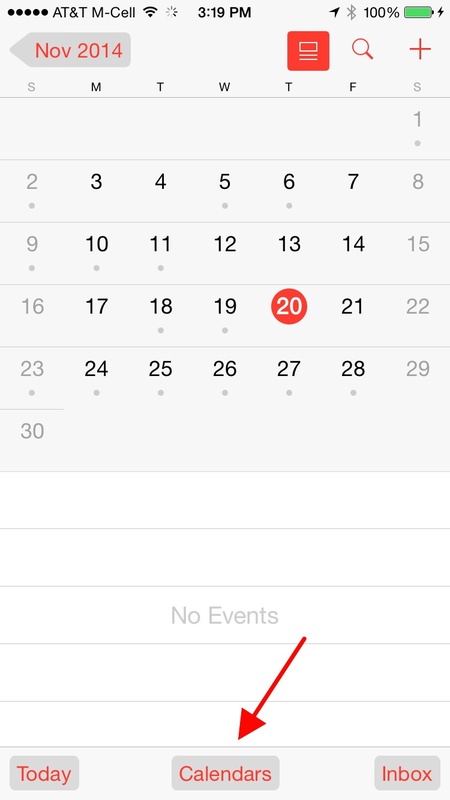 In iOS 8, there doesn't appear to be any way to delete the U.S. Holiday calendar, but you can elect to not show it in the Calendar app itself. There's a button at the bottom of the calendar app that brings up a page where you can toggle a calendar on and off. Turn your IOS Calendars on/off here. 2. Other Calendar Subscriptions. One of the nicest list of calendar subscriptions I found is at Busymac.com/webdav.html. There you'll find holiday calendars for various countries along with calendars for MLB Baseball, NBA Basketball and NFL football. As the NFL playoff season approaches, fans may want to keep closer track of their favorite team's schedule. The process on the Mac is easy. 2.2 With your browser, go to the calendar subscription page I mentioned above. When you click on a calendar for your favorite holiday or sports team, a small window will open asking your for the destination of this calendar. The default calendar app is highlighted. In my case, it's BusyCal. 2.3 After you click "OK," the subscription will show up in the sidebar of the default Calendar app under "Subscriptions." See Figure 3 below. If you want to subscribe to a calendar directly on your iPhone, go to Settings > Mail, Contacts, Calendars > Add Account > Other > Add Subscribed Calendar. But I find this direct method to be tedious because you have to paste in a URL. Better is to tap on a subscription URL, and it'll be automatically added. Even so, I think it's easier to manage subscriptions on the Mac, then sync. 2.4 Deleting a subscription. OS X: In Apple's Calendar app, right click the subscription and select "Delete". 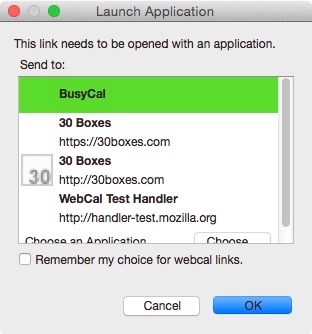 In BusyCal, you'll also right click and select "Unsubscribe." If you need to delete it on the iOS side, go to Settings > Mail, Contacts, Calendars > Subscribed Calendars and pick the one to delete. 2.5 Syncing to your iOS Device. If you want to sync your calendars to an iOS device, you can do it via iCloud which is easy and secure. (See: "iCloud security and privacy overview.") Go to your Mac's System Preferences > iCloud and check the Calendars box. Then, also go to, say, your iPhone, and go to Settings > iCloud and select the corresponding "Calendars" entry. Now all your calendars will be synchronized in both directions. Note that if you subscribe to a holiday calendar yourself and leave the iOS holiday calendar on, you may have duplicated holiday calendars. The easy path is to just disable the built-in holiday calendar on your iPhone. 3.0 Other Calendar Sites. There are lots of calendars out there you can subscribe to. Perhaps the best known is iCalShare. Another one that our Kelly Guimont clued me into is TheOneRing.net. If you have a favorite calendar subscription site, feel free to tell us about it in the comments below.